At the Pudong Hebrew School, each child is encouraged to develop his/her own personal relationship with Judaism. 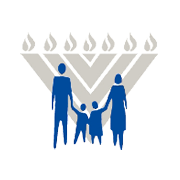 Our programs are designed to generate positive associations with Judaism while providing the knowledge, skills and values that comprise Jewish identity. It is our dream that our children identify with Judaism's unique value system and see themselves as part of a community. To make these goals a reality our curricular program is designed around five courses, each exploring Judaism from a different perspective. Tefillah - Prayer: In the 'busy-ness' of everyday life, prayer gives us the opportunity for introspection. Our goal is for our students to attain a familiarity with both the mechanics and deeper messages of the prayers. Kriah - Hebrew Reading: Attaining the skill of Hebrew reading allows our students to connect to their Jewish identity through the Torah's original language. In Kindergarten, the children are introduced to the Hebrew alphabet through games, crafts, songs, and stories. Grades 1 focus on integrating letters and vowels. Grade 2 and onwards, enter the ALEPH champ system, a self-motivated reading program that allows children to study at their own pace and achieve their own set goals. Chagim - Holidays: Each holiday celebrates a unique story, a distinct message, along with special practices and rituals that bring the holiday alive. Our holiday curriculum synthesizes these three elements (story, deeper message, rituals/practices), bringing a relevance and joy to the Holiday. Our Story - History: The history of the Jewish nation is really the story of every individual Jew. Beginning from the Six Days of Creation and moving through time, the children explore the incredible journey of the Jewish people, and in effect, of themselves. Lessons are interactive, fascinating and relevant; children meet biblical and historical personalities and learn their stories — their challenges, their triumphs and their contributions. 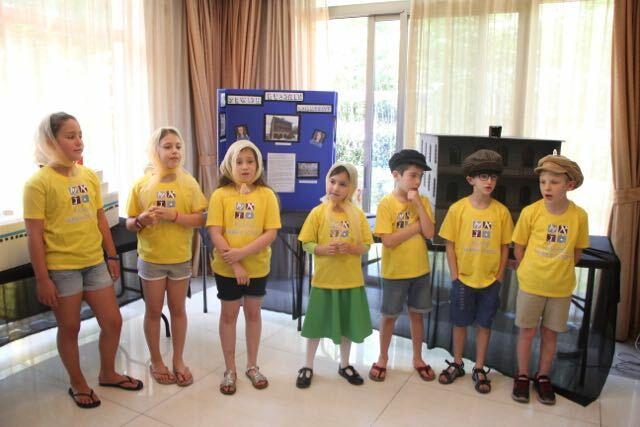 Children are inspired to add their link to the chain of Jewish history. Mitzvot - Jewish Practice: The Torah is full of rituals and values to help guide us in living meaningful and productive lives — even (or perhaps, especially) in contemporary times. Each year, a few mitzvot are selected for study on a school-wide scale, explored in an informal, spirited and creative fashion.